Annie Williams, 71, was mauled to death by a pit bull in Shaker Heights, Ohio. UPDATE 04/20/16: In February, felony manslaughter charges were brought against two dog owners in Cuyahoga County. Earlier this month, Leon Morton, 49, pleaded guilty to involuntary manslaughter after a pit bull under his care brutally attacked and killed 71-year old Annie Williams in front of her great grandchildren in Shaker Heights last July. Today, Cuyahoga Common Pleas Judge Stuart Friedman sentenced Morton to 30-months in the Lorain Correctional Facility. Prosecutors had initially sought the same charge against Bobbie Green, 71, but in a recent plea agreement lowered this to negligent homicide, a misdemeanor. Green pleaded guilty to the charge several weeks ago. Judge Friedman sentenced Green to 6-months in prison, suspended with 2-years probation. Part of Green's probation includes not owning or caring for any dog, "I don’t care if it's a puppy," Friedman said. Green sat stone-faced while Friedman read her sentence. Morton's conviction marks the first felony conviction for a fatal dog attack in Ohio since we began collecting a data set for all fatal dog maulings in January 2005 (a felony case in Montgomery County is ongoing). It is likely the only dog attack-related felony conviction in Cuyahoga County since 1993, when Jeffery Mann was convicted of murder after he ordered his pit bull to attack his girlfriend, Angela Kaplan, or held her as the dog attacked. Mann was sentenced to 15-years to life. 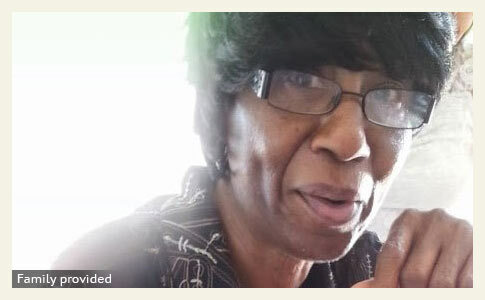 Seven months after a pit bull attacked and killed 71-year old Annie Williams in a Shaker Heights residential neighborhood, two people now face charges in connection to her death. Bobbie Green, 70, and Leon Morton, 49, have been indicted on involuntary manslaughter and reckless homicide charges. On July 12, 2015, Williams stopped by their home on Pennington Road to pick up her two great granddaughters. Before she made it to the front door, she was viciously attacked. Annie's great grandchildren had been with their father at Green and Morton's home. The pit bull belonging to the pair attacked Annie as soon as she stepped out of her vehicle that she parked in their driveway. 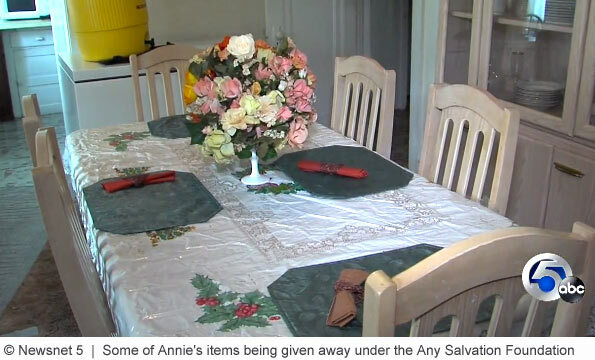 Several children witnessed the horrific attack, including a 13-year old who was inside Annie's car. Nearby neighbors rushed to help Williams; one even shot the dog injuring it, but it was too late. Annie died from bite wounds and crushing injuries to her neck, throat and body. After a beloved grandmother was horribly mauled to death by a pit bull, her family is setting up a foundation called, Any Salvation. 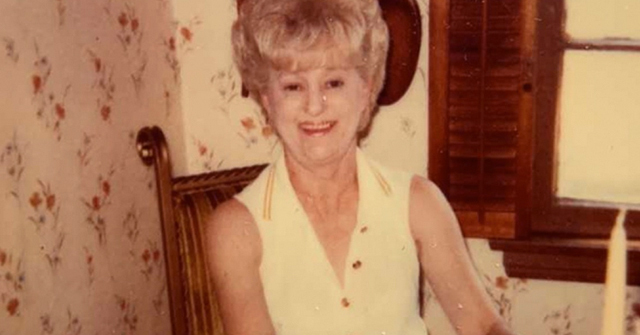 Annie Williams, 71, was picking up her two great granddaughters from a home in Shaker Heights, where they were with their father, when a pit bull belonging to someone in the home brutally attacked her in the driveway. A 13-year old, who was in Williams' car at the time, and her two great grandchildren, ages 7 and 8, witnessed the horrendous attack. Family members are now looking for someone in real need to give Williams' furniture, clothing, some household items and appliances to. "Since she was such a caring and giving woman, what better thing to do than to give it to someone who needs it," said her granddaughter, Tequila Williams. Another one of her granddaughters, Secunda Starr, added, "I want somebody that will benefit from it greatly and really take care of it and need it. I want someone to actually need it." Family members also hope to make legislative changes in pit bull ownership. "We're all going to be very proactive in making sure that what happened to our grandmother does not continue to happen to other people," Tequila said. "What does it take for legislation, for representatives, for the law to see that this is an animal that no matter how kind you are to it, it cannot be controlled?" Annie is the 5th person killed by a pit bull in Ohio since the state dropped its pit bull law in 2012. Follow, Scorched Earth, the Politics of Pit Bulls, to stay informed about pit bull issues in Ohio. 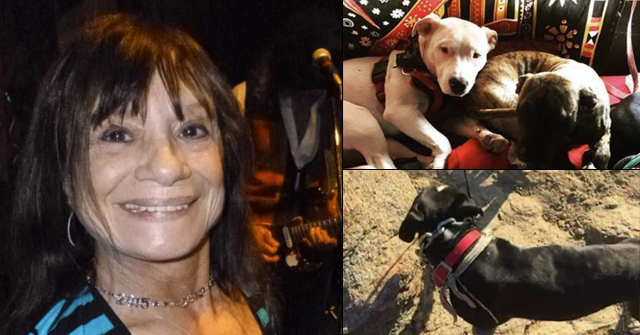 A county medical examiner said that 71-year old Annie Williams who was attacked by a pit bull died from bite wounds and crushing injuries to her neck, throat and body. On Sunday, Williams stopped by a relative's home in Shaker Heights where the pit bull lived. The dog viciously attacked her in the homeowner's driveway as soon as she exited her vehicle. A 13-year old inside Williams' car witnessed the violent attack, along with at least two other children at the relative's home. The most recent Fox 8 update includes clarifications about family members. Williams was at the home to pick up her two great grandchildren. Tequila Williams is one of several granddaughters. Another granddaughter, Secunda Starr, was at the home and witnessed the attack. Starr said the pit bull was on the home's front stoop just before the attack. "The dog immediately skipped a step and jumped off and attacked my grandma," Starr said. She tried to pull the dog off Williams. The female relatives that Fox 8 interviewed said the same pit bull had recently attacked another dog in the home. Tequila wants those responsible to accept responsibility. "I want justice, the people responsible to accept responsibility," she said. Tequila is horrified in the manner of her death. "I’m just so sorry this happened to her. She was a beautiful woman and didn’t deserve to die this way," she said. She prays that while being attacked she did not suffer too long. 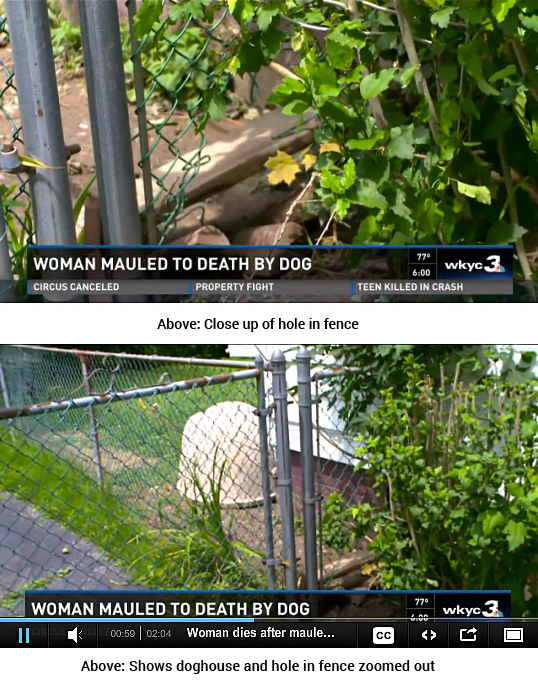 Yesterday's update from WKYC shows the doghouse in the backyard of the home and a gaping hole in the chain-link fence. Dog ownership details, however, still remain murky. 19 Action News identified Jerome Green as the owner of the home on Pennington Road. Green might eventually be on the hook for civil damages if the dog's owner remains unidentified. Police are investigating other animal complaints in the neighborhood to see if any are related to Sunday's lethal attack. Shaker Heights, OH - An elderly woman has died after a vicious dog attack. The Cuyahoga County Medical Examiner's Office identified the woman as 71-year old Annie Williams. The attack occurred Sunday in the 3600 hundred block of Pennington Road. The 911 caller identified the attacking dog as a "beige pit bull." The dog was fired upon by someone at the scene. Williams was taken to South Point Hospital where she later died. An autopsy is scheduled for Monday. 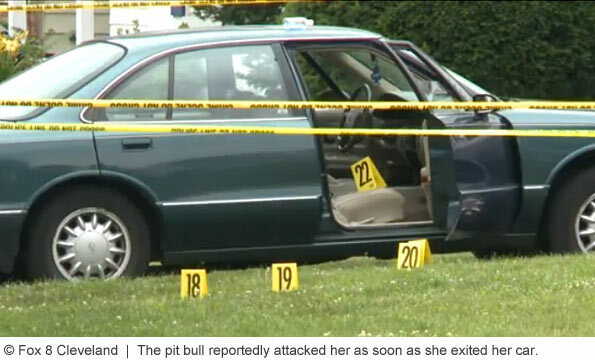 Cleveland.com clarifies that it was a neighbor who initially shot the pit bull. Shaker Heights police later located the dog in a backyard and shot and killed it. Darlene White, 45, witnessed the attack from her home two doors down. From her window she saw Williams on the ground. Several neighbors rushed to help. Another neighbor shot the dog as it continued attacking Williams. White said she heard police fire three gunshots. She said the entire attack lasted about 10-minutes. White said she has only seen the pit bull a few times, it's usually chained up behind her neighbor's house, she said. At least two people called 911. Cleveland.com has the recording of the second caller. "There is a dog on a person across the street," the caller told dispatch. "He's on top of a lady. Somebody is trying to get him off, they can't get him off!" she said. "It's a pit ... Somebody just shot him ... I heard a gunshot and ran back inside. I'm not going back out there!" said the caller. ABC 5 reports that police confirmed the dog was a pit bull. 19 Action News reports that the victim was at the home picking up her two great granddaughters from their father when the dog attacked. A 13-year old relative was also inside Williams' car during the horrific mauling and the ensuing gunfire. Family members said the dog's owner lives in the home where Williams was picking up the two children. The pit bull was not licensed in Cuyahoga County, 19 Action News reports. Tequila Williams, one of her granddaughters, said, "I didn't get to see her before this happened. She was always there for everybody. A stranger in the street, it didn't matter who it was. She was the sweetest person and her grandkids loved her," Tequila said. Shaker Heights police continue their investigation and are awaiting autopsy results from the Cuyahoga County Medical Examiner's Office. William's violent mauling death marks the third U.S. fatal pit bull attack in a 10-day period. 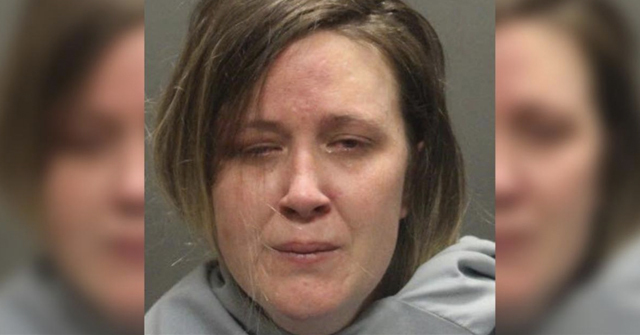 In an afternoon update by ABC 5, Tequila Williams said her two daughters, 7 and 8-years old, witnessed the violent attack from the window of their father's home. Williams was at the home to pick them both up. "My 8-year-old daughter answered the phone screaming and crying saying, 'Grandma, the dog just killed grandma, it bit her in the neck and they're trying to stop the blood,'" Tequila said. She also told ABC 5 that she was unaware the pit bull was even at the house. "I asked [my daughter] where did this dog come from and she said that they kept it, it was in the backyard and they never let it out and only their father and grandmother were the ones allowed by the dog," Tequila said. A recent AP report states that Shaker Heights police Cmdr. John Cole said that that no one has been arrested and no one living in the home has claimed ownership of the dog. Cole stated that the attack occurred on the driveway of the property of Williams' relatives. View the DogsBite.org Google Map: Ohio Fatal Pit Bull Maulings. Add "getting out of your car during a visit to the relatives" to the list of pit bull attack triggers. And pitbull owners will defend that dog! I was so depressed by this that I couldn't even comment when I first read it, just couldn't even think of what to say. Is it enough to say, I'm sorry that our authorities are so corrupt that they are letting dog fighting now take on human victims in our streets? This lovely lady gave so much to the world, and this country really let her down, and for what? So some pit bull breeders can make a buck? Family should sue the city for irresponsible revoking of ban and also the owners of the pitbull. "Had Jeffrey Mann sought medical attention for her, Angela would have survived, but would have lost her arm according to the Cuyahoga County Coroner. Instead, Jeffrey Mann watched her bleed to death and did not report the incident for approximately three or four hours. Between the time of the attack and when authorities arrived, he and/or parties unknown or unidentified bathed the dog and moved Angela’s body from the bedroom to the living room sofa and began concocting numerous lies about what happened. Homicide detective, Michaelene Taliano, stated that the bedroom looked like a butcher shop. There was blood on the bed, floor, walls, and ceiling. " Cuyahoga County had seen two deadly pit bull attacks (1987 and 1982) before Kaplan's murder. Ohio passed their statewide pit bull law in 1987, 5-years before her death. There had been some very high profile fatal pit bull attacks in Ohio before 1992. So they had some idea of the injuries. The "repeated "engagement of a "single" pit bull, not 2, 3 or a pack, actually did throw authorities (it even threw expert Randall Lockwood who testified at trial). 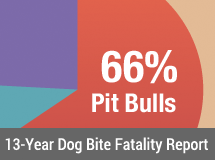 We learn in subsequent years that a single pit bull has and will inflict over a 100 bites just operating on its own. These ridiculously light sentences are another reason these attacks continue. If a drunk driver kills someone, it's not a slap on the wrist anymore. Owning a type of dog that routinely kills people and failing to control that dog is an equal level of gross negligence and should be treated just as sternly.